Hey everyone! Here it is the weekend already. Were did that week go? So much I wanted to get done, but just didn't seem to. The weather is changing and for me that means more headaches than usual, so this week wasn't as productive as I had hoped. But..... I did get up this morning and take everything thing down from the soffet area above the kitchen cabinets to get it all wiped down. For some reason that is a job I dread, so I'm glad to have it DONE! I started working on taking down all the light fixtures and cleaning them. Taking a break before finishing. I love living in the country, but the insects and the dust from living on the gravel road are a constant challenge. I still have a number of projects I created with my "Gather Together" Front Porch Kit from The Little Blue House to share with you, so I thought that's what I'd do today. This was a challenge for me because I don't know when the last time was that I did a two page layout. I actually usually scrap 8 1/2 by 11 to begin with so a double 12x12 was a bit out of my comfort zone. But... challenge it good for us all. I'm glad to have these photos from the last Thanksgiving with mom documented and ready for the book. 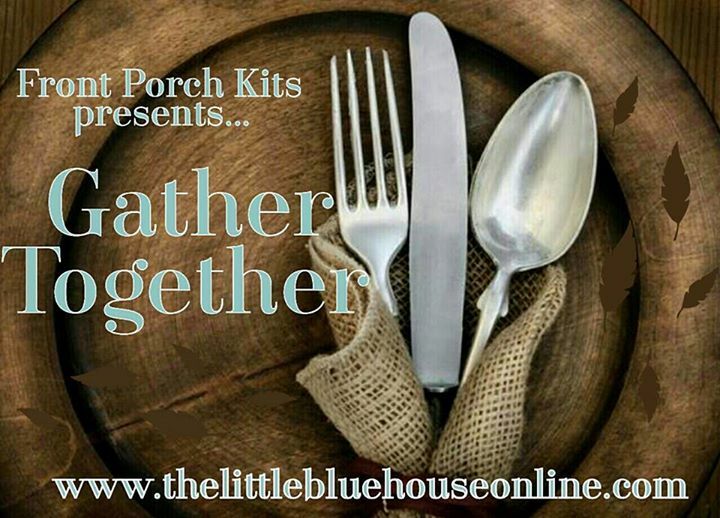 This kit is packed with stuff! I mean packed!! You can see it all HERE. 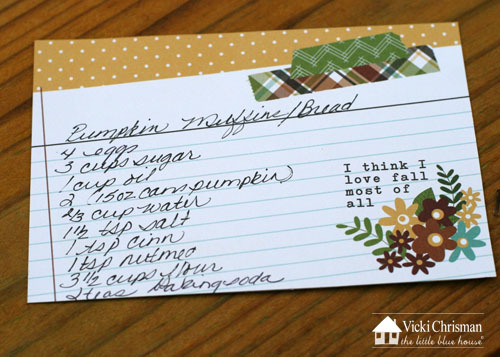 Here is a simple little wrap idea for giving a loaf of bread. Everything I used it from the kit. Well, here you go. If you get a chance... give em a whirl..they are pretty Yummy! Combine all ingredients and mix with electric mixer. 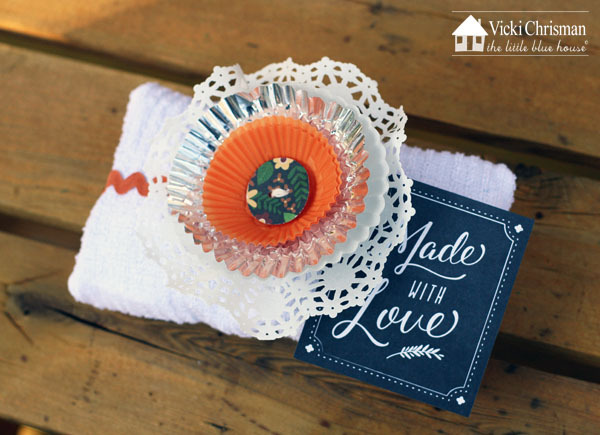 Pour into muffin tins or loaf pans sprayed with non stick spray. Makes 3 large loaves or 3 dozen muffins. Here is what the muffins look like. So moist!! 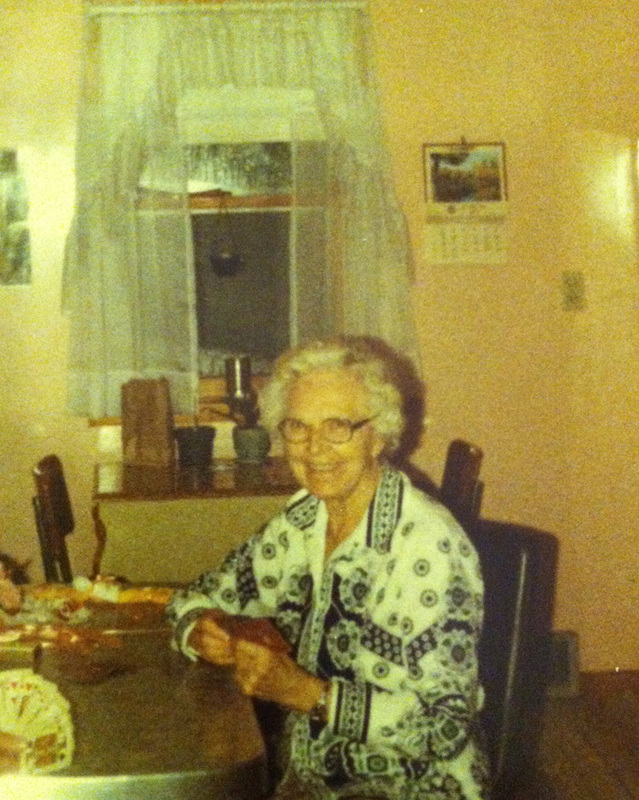 This week forThowback Thursday and posted this photo of my Grandma B, I sure miss her ....( and her sweet pink kitchen). What I would do to sit and chat with her at that table now. This is why I love photos SO much! In a flash they just take you right back to that time and place. Oh... the precious memories. Speaking of photos. As if you need a reason to take photo. 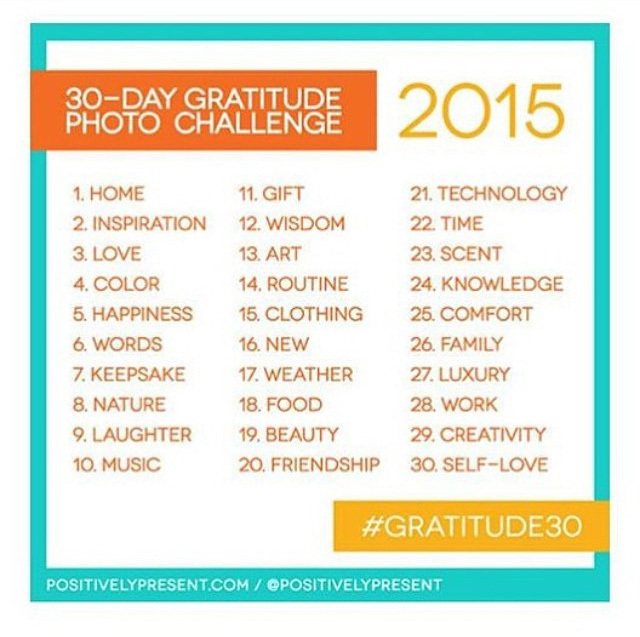 There is still time to join in on the 30-Day Gratitude Photo Challenge. You just follow along and take photos each day of things in your everyday life pertaining to the word of the day. These two little stinkers bring us so much joy and happiness it's crazy. We've talked about what it would be like without dogs, and we cant even imagine our home without them. 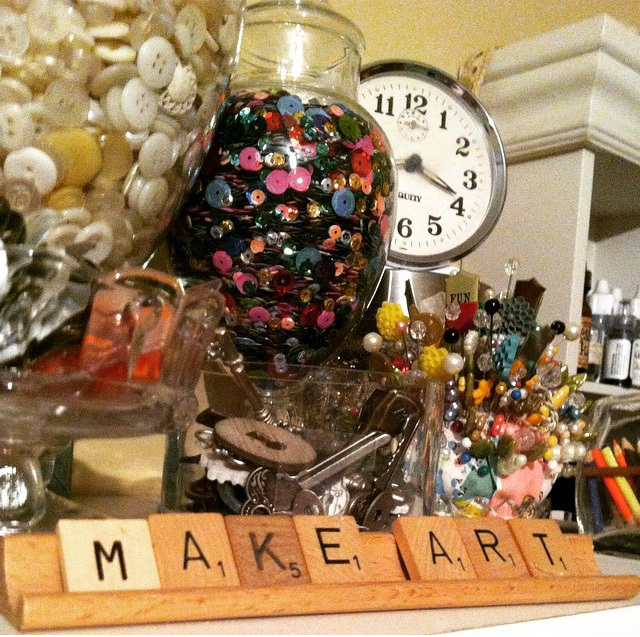 Well, words are everywhere....but these I see often because they are on the self right above my work table. I have many keepsakes. Things that just mean a lot to me. For someone else they might mean absolutely nothing. But for me each one holds a memory of the person who gave it to me, and reminds me of them and how special they were, and how they touched my life. 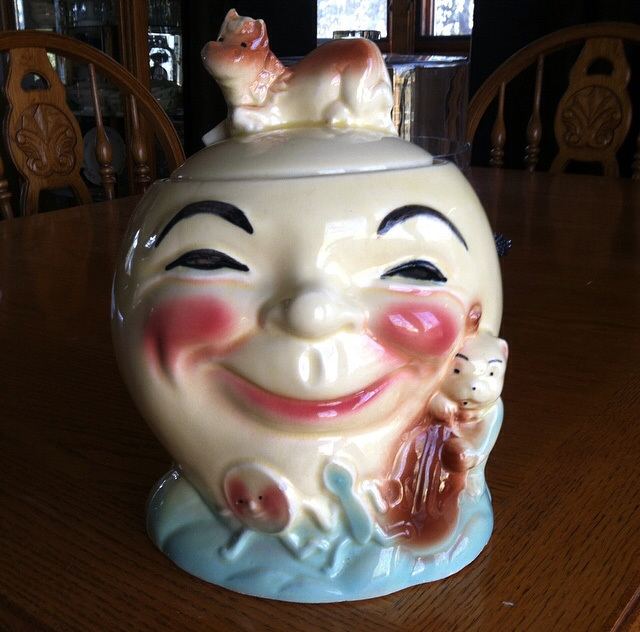 This cookie jar was given to me by Dans Grandma ,and I adore it. hmmm.. 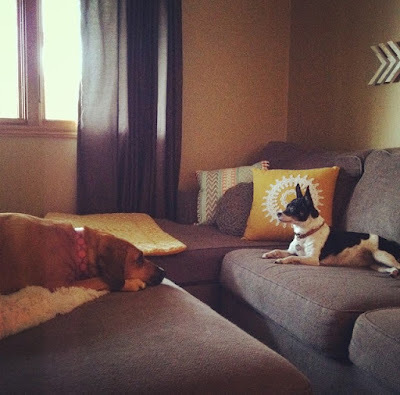 I'm thinking I probably should not have taken my "little break" and stopped to write this blog post, because I'm finding myself very unmotivated to get back to my cleaning :( poo! Here is to a Fabulous weekend ahead for you! Enjoy! And as always.... I'm happy you stopped by! 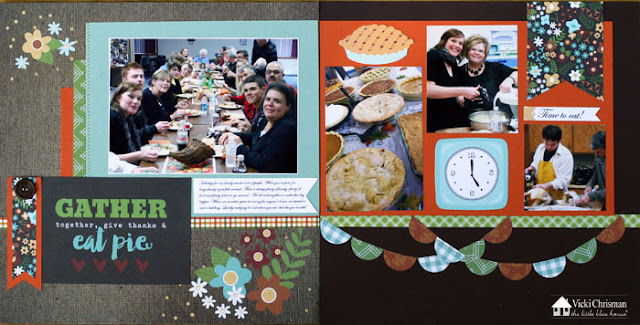 Nice layout Vicki. Wish you would come clean out my cupboards............need to get on that. Hope you have a great week ahead. the muffins sound delicious! Subcribe to "This Art that Makes me Happy"
©Vicki Chrisman. Powered by Blogger.